Discussion in 'Nogizaka46 Members' started by caramujo, Oct 8, 2012. After an hiatus of more than one year (2012.09.22 ~ 2012.10.08), due to focus on studies, she's back. And already changed the group a lot after been put in the recently created Hachi Fukujin haha. Hm... welcome back! 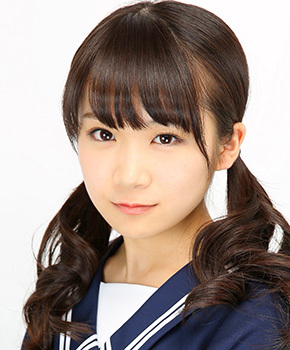 Next week's Nogidoko (2012.10.14) will feature more about her. I have limited Japanese language skills, so correct me if I am wrong as I attempt to translate a portion of it. I am Akimoto Manatsu. From today, I will be resuming my activities (with NGZK46). First, I wish to apologize for my long absence.. However, with my current state,can I do it? Yesterday was a weird day. Made friends with a couple of Japanese exchange students and one turned about to be an AKB fan. I acted quite normal, because there were others around and I didn't want to get over excited. I amn't hugely into AKB anyway, compared to certain other groups we discuss here anyway. So she asks me do I know Nogizaka and I say yes. She says she prefers Nogizaka and I agree. She says she knows three members personally and I get a bit shocked but I have an idea who she's talking about. (About my friend, she's from Saitama and was in the calligraphy club in school, that plus knowing 3 members not just one pretty much gave it away). Akimoto Manatsu, Nishikawa Nanami, and someone else I surprisingly didn't know. And as she said it I let my excitement get the better of me, admitted to watching their show and proceed to talk about liking Manatsu. She responded to this by showing me about 100 photos of her (purikura with the shodobu (calligraphy club), I think she might have been in Manatsu seitansai but blurred) so they were definitely close, apparently they still skype! It was so weird. Anyway, she made Manatsu out to be a really lovely person and she said she'll be telling her she found an Irish fan. ah~ so tired from that excitement. Yup, Yada. I couldn't remember her name. I can remember most of the 2nd gen but Yada's only topic of discussion was that she knows Manatsu, right? Didn't stick for me. Just treasure it, and don't leak anything private of her. "Rustyhand", "Rust"... do you two have anything in common? Yeah, I won't leak anything if I ever was to learn it. I hate people who rob the privacy of others. Nope^^ we are completely different person. What makes this girl so popular?